Do you love spending time with your family and loved ones on outdoor events like camping, hiking, picnic? 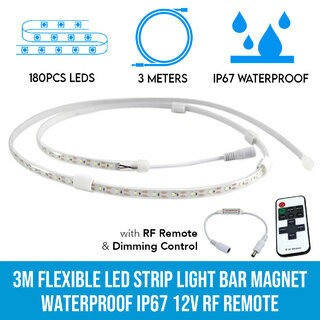 But be sure to have LED Rigid Light Bar Strips to light up your night outdoors. With this at the camp, hiking and picnic site, or even the gazebo, you’ll see every action happening during the event. Get the LED Light Bar Strips at Elinz Store and bring out the artist in you. No need to spend extra for garland and other décors when styling the gazebo or garden for any occasion held outdoors. You can artistically form any shape like heart, butterfly and flower with these bar strips.